I have to be real with you all for a moment- I love having a few easy to throw together, quick dinner ideas at my disposal. Even with the best of intentions and a well planned out meal plan for the week, there are nights when cooking from scratch just goes out the window. Those evenings when a day at home with the little ones has been just a little too long. Those evenings when you come home and the office has managed to wipe out every last bit of self motivation you may have left. Those evenings when the kids' practice, that work meeting, the traffic has taken just a little longer than you had planned for. Those types of evenings happen at least a few times a month in this home. I defrost chicken or ground beef that morning only to come home and realize that I just do not have it in me to make the recipe I had originally planned to use them in. In a large mixing bowl, combine the beaten eggs and bread crumbs. Add in the ground beef and salt & pepper. Mix well (the best & quickest way to do this is with your hands!). 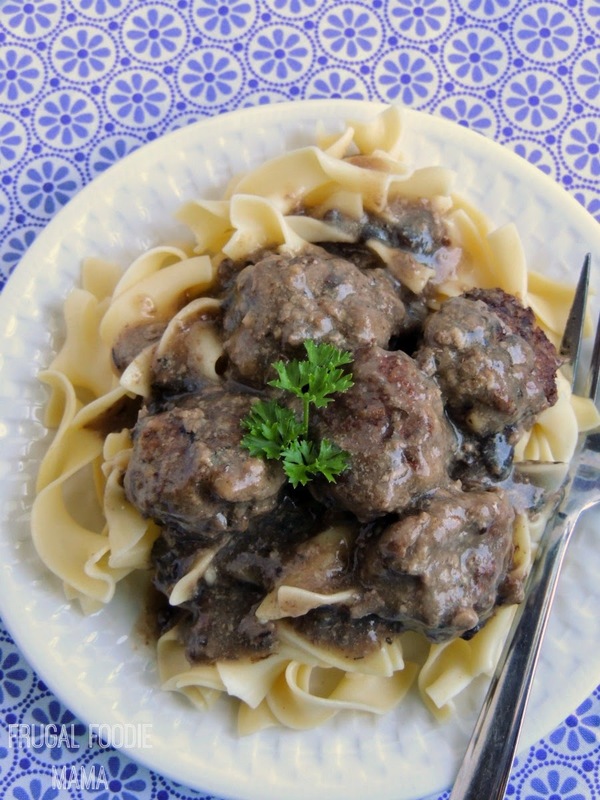 Form the meatball mixture into small meatballs- about 1 1/2 tbsp of the mixture per meatball. Heat the olive oil in a large pan over medium-high heat. Once heated, add the meatballs to the pan. Brown on all sides, about 2-3 minutes per side. 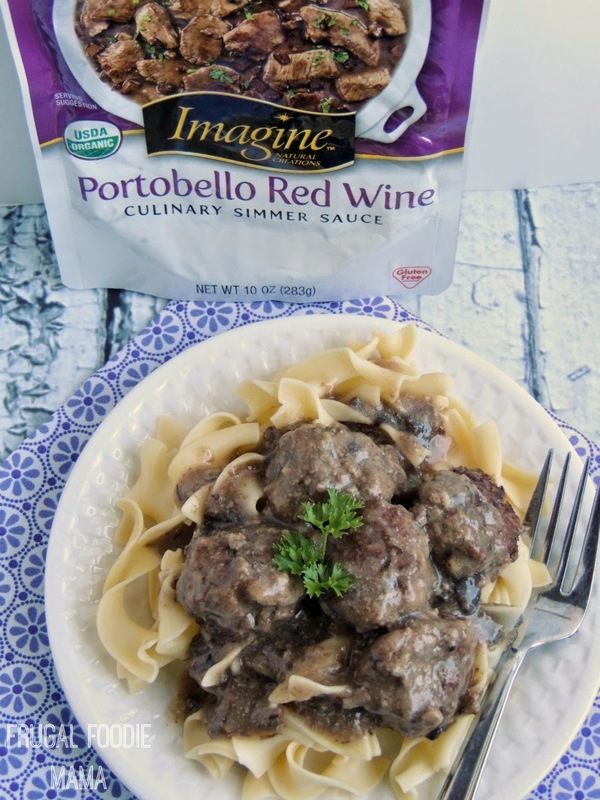 Pour the Portobello Red Wine Imagine® Organic Culinary Simmer Sauce over the meatballs and give a gentle stir. Cover the pan and turn down the heat to medium-low. Simmer 15-20 minutes, until the meatballs are cooked through. Serve over hot egg noodles or your favorite pasta. 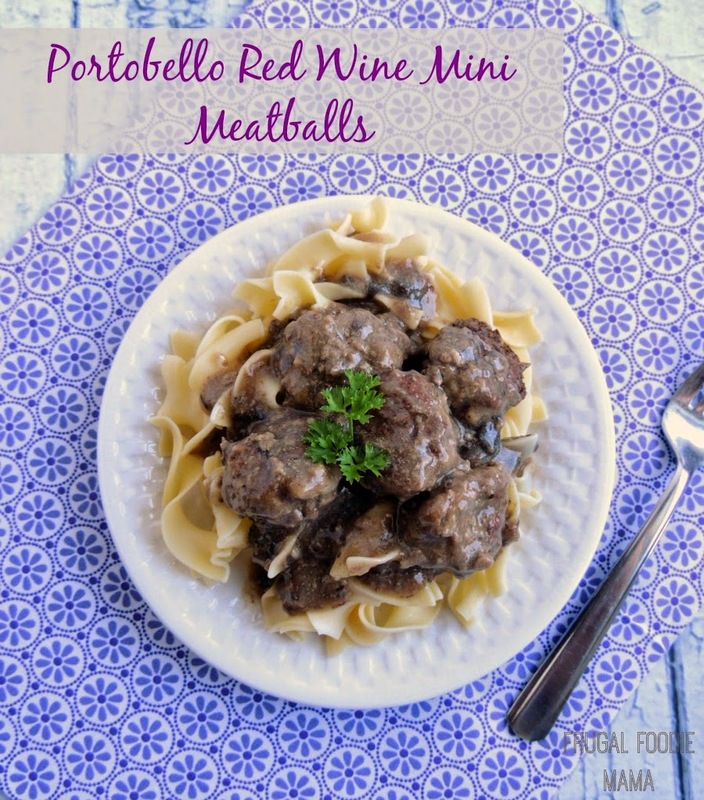 Not only were these Portobello Red Wine Mini Meatballs a huge hit with this mama (hello, home cooked dinner on the table in around 45 minutes! ), but my entire family loved these as well. 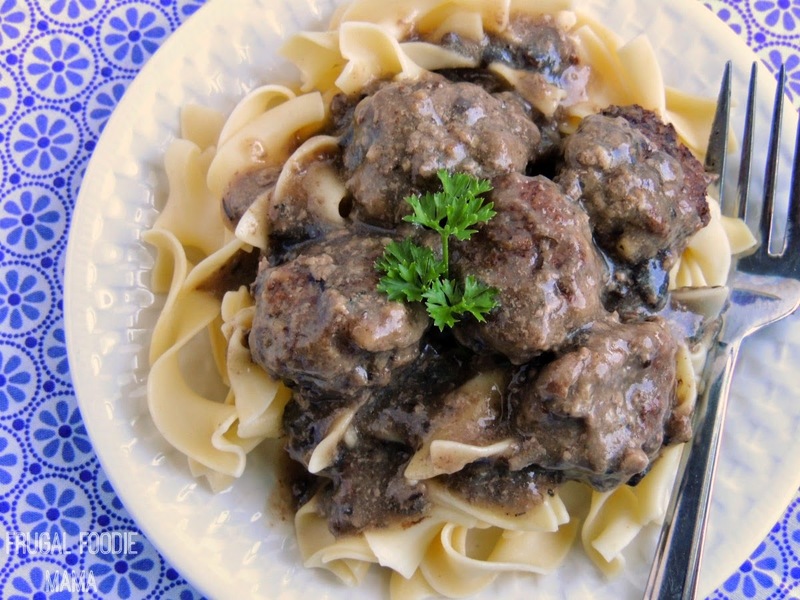 My family thought the mini meatballs were more fun, but I had an ulterior motive with these- making smaller meatballs meant a quicker cook time. ;) And the sauce on this? Rich and hearty! Not only are Imagine® Organic Culinary Simmer Sauces easy, delicious, and convenient, but I love that I can feel good about feeding them to my family. They are all certified organic, contain no preservatives or artificial ingredients, and are sans MSG and gluten. Imagine® Organic Culinary Simmer Sauces come in four delicious flavors- Portobello Red Wine, Latin Veracruz, Thai Coconut Curry, & Louisiana Creole!